Rhino pumps provides the highest quality service in the industry. Our service team can be on-site the moment you need us. We can help reduce your down time and increase your run time between failures. Rhino Pumps has a meticulous team of pump mechanics and boasts a full service machine shop with engineering, fabrication and machining capabilities. Rhino Pumps is a preferred distributor of the highest quality and name brand pumps in the industry. Our pump engineers will find the most efficient pump for your application. We provide pumps, mechanical seals, pump replacement parts, service, repair and installation for the mining, municipal, industrial, HVAC and other industries. Rhino Pumps has a full service shop, complete with engineering, machining, and fabrication capabilities. 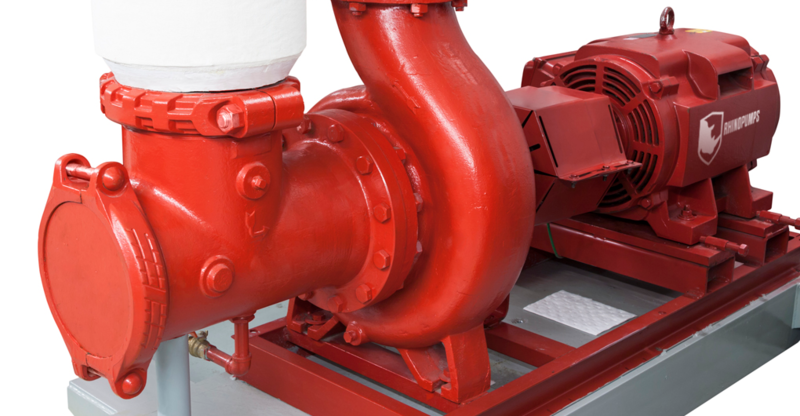 Our service teams can repair any style pump and restore it to optimal performance. Rhino Pumps carries pumps and pump replacement parts for vertical turbine pumps, submersible pumps, trash pumps, split case pumps, and other centrifugal pumps. Rhino Pumps serves the industrial markets with our fast lead times, premium products, high quality pumps, meticulous pump repair and on-site service capabilities. Rhino Pumps serves the Municipal market with competitive pricing, quick response times and efficient and cost effective pumping solutions. Rhino Pumps sells, services, repairs and installs pumps in-house, offering a hassle-free, bid-to-startup project. Rhino Pumps serves the mining industry with our fast response times, excellent quality products and cost effective solutions. Rhino Pumps has the most efficient and durable pumps for the mining industry, specializing on sludge and slurry pumps, high head and flow requirements and pumps made from durable materials to handle corrosives. Rhino Pumps serves the HVAC industry with our fast response times, attention to detail, and cost effective solutions. Rhino Pumps sells and services fire suppression pumps. We boast a complete line of fire suppression pumps for all applications. Rhino Pumps sells quality products with expert service and repair capabilities and fast lead times. Rhino Pumps sells and services pumps of all sizes for the agriculture industry. We have high efficiency water pumps that are built to handle the toughest demands for the agriculture industry. Our irrigation and farm pump experts specialize in meeting the high demands of irrigation, slurry, dewatering, corrosive slurry pumping, high pressure pumping and other factors specific to agriculture and farming. Rhino Pumps has many different pump options for power plants. Whether it is hot water, high pressures, or even caustic fluids, we have the highest quality and most cost efficient pumps for your application that will withstand the toughest pumping demands. Rhino Pumps has served the wastewater industry all throughout the mountain west. Our specialists can design the right pump for your application. Rhino Pumps sells, services and repairs pumps for the wastewater applications. We offer fast lead times, expert service and on-site service and repair. The construction industry has some of the most demanding pumping applications. We sell and service dewatering pumps, trash pumps, submersible pumps and other high efficiency pumps that will meet the demands of the construction industry. Rhino Pumps serves the snow making industry with our fast response times, attention to detail, and cost effective solutions. We understand the importance of having your pumping equipment up and running and low downtime. Our fast response times and high quality products make us the preferred distributor and pump shop in the Mountain West.